Let us protect your home or business against termites! Every year, termites cause about $5 Billion in damages to homes – most of which isn’t covered under homeowners insurance for repairs or treatment. Your home may be your single largest investment, and termites are a major threat to that investment. Omega has several treatment options to protect your home. We use a flexible application approach and are happy to provide a termite inspection. Our liquid termite treatments are an advanced, non-repellent liquid termiticides. This solution works inside, outside, and within the foundation to provide a protective barrier around your home. The treatment offers immediate elimination as well as long term protection from future infestations throughout the duration of the protection plan. We also offer to install the Advance Termite Baiting and Monitoring System around your home. This is a series of bait stations in the ground around your home. Termites feed on the bait, taking it back to the colony, leading to elimination of the colony. Call 615-672-3010 or 615-242-4882 today and schedule a very thorough onsite termite inspection by Omega Termite and Pest Control to uncover any hidden threats to your home or business. Then start one of our state of the art prevention programs or select one of several effective termite treatment options to eliminate active colonies and keep future termites away. Termites cause billions of dollars of damage to homes each year. This damage is not covered under standard homeowner’s policies thus placing the owner at risk for extensive repair costs. They are cryptic and infestations can go undetected for years as they hide behind walls, floor coverings, insulation, and other obstructions. yet, they can be busy destroying your home or business from the inside out. Their feeding and damage can even progress undetected in wood that is exposed because the outer surface is usually left intact. Confirmation of Termite infestation often requires the keen eye of an experienced termite control specialist. So if you suspect your home or business has termites, you have reason to be concerned! 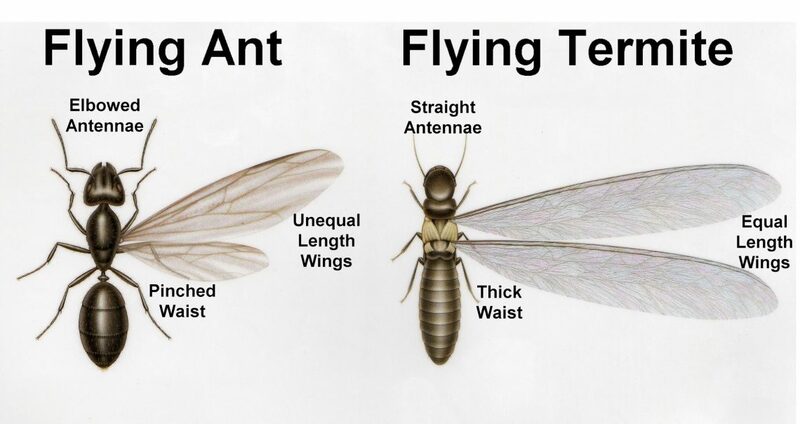 Signs of termite infestation can include wall cracks, blistered areas on a floor, wall, window frame, joist or stud; damaged or hollow sounding wood; pinholes in drywall or wall paper; narrow mus tubes along the base of the house; termite swarms in or near a building; and or cast-off wings from flying termites. Before any termite quotes or treatment options can be discussed, our trained specialists will do a comprehensive onsite termite inspection with access to all parts of the home or building, including any crawlspaces, basements, and attics. Some examples of places we focus on are window, doorways, rafters, foundation piers, and especially any place you may have noticed a possible sign of termites. If your home is receives an all-clear report, congratulations! You can still protect your home against future attacks with our treatment options and yearly re-inspections. If your home has already been under attack, our professionals stand ready to defend your investment with reliable EPA approved methods such as a Termidor soil application, Advance Termite Bait System, or a combination of several options depending on your particular needs. In the meantime, make sure that all water drains away from your house; keep mulch, firewood, and scrap wood away from your house; do not affix wooden trellises to exterior walls; do not bury wood debris near your house; repair anything that leaks water; seal all cracks and crevices around the outside of your house; and get professional help with regular check-ups. To serve your termite needs in a safe, convenient, cost effective, and environmentally friendly manner with a 100% satisfaction guarantee. In short, our termite control services are guaranteed to get the job done every single time. If any covered pest problems arise between scheduled visits, Omega will return and treat the problem area at no additional cost. It’s as simple as that.